Marilyn Cohen is one of the country's top bond managers. 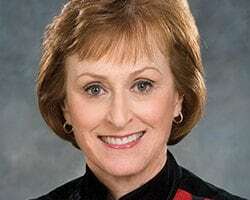 She began her 40-year financial career as a securities analyst at William O'Neil & Co. Ms. Cohen moved into bond brokerage at Cantor Fitzgerald, Inc. then founded Envision Capital Management 24 years ago. As Envision's CEO, she and her company specializes in managing bond portfolios for individuals. During this same 24 years, she has written the bond column appearing in Forbes magazine. She is the author of six books on the bond market investing for individuals—all available at Amazon.com.